Italy's Terraforma Festival has confirmed the final set of names for this year's event, with Stine Janvin, Julia Kent and N.M.O. among those newly added. Berliners Stine Janvin and the duo N.M.O. will close out the Friday night events while Ron Morelli, head of Brooklyn's L.I.E.S. label, will play a set the following night, followed by Canadian cellist Julia Kent. Morphine Records' KAFR, otherwise known as Morphosis, will perform with Indonesian duo Senyawa, while Rawmance, otherwise known as Italian label owner Mateo Montero, closes out the Saturday night events. The programme will also feature multiple reggae sets from Tropic Disco Sound System. Previously announced acts include Aurora Halal, GAS and Andrew Weatherall with the festival set to take place from June 23-25. 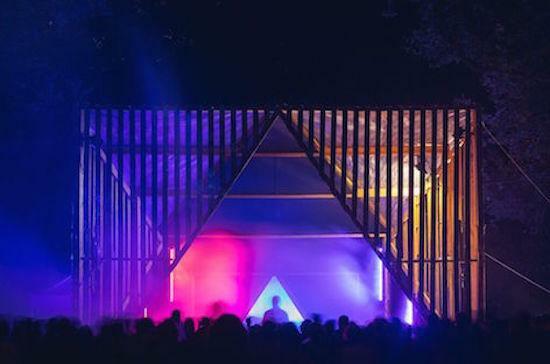 This is Terraforma's fourth year with the festival taking place in the picturesque woods of Villa Arconati in Milan, a unique environment that includes a church, a labyrinth and courtyard gardens. For tickets and more information, click here. Read our review of last year's event here.